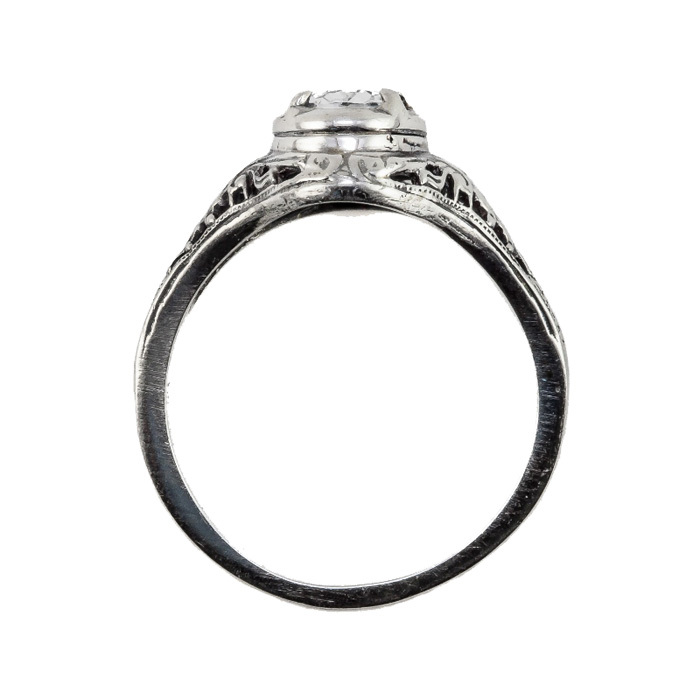 As you plan your vacation and dream of where to visit, this ring will have London on your mind. This oval shaped London blue topaz gemstone set in 14K white gold is a stunning alternative to a diamond engagement ring. Using the highest quality 14K white gold as the backdrop for the marvelous oval shaped London blue topaz jewel, creates a ring you will be proud to wear every day of your life together. 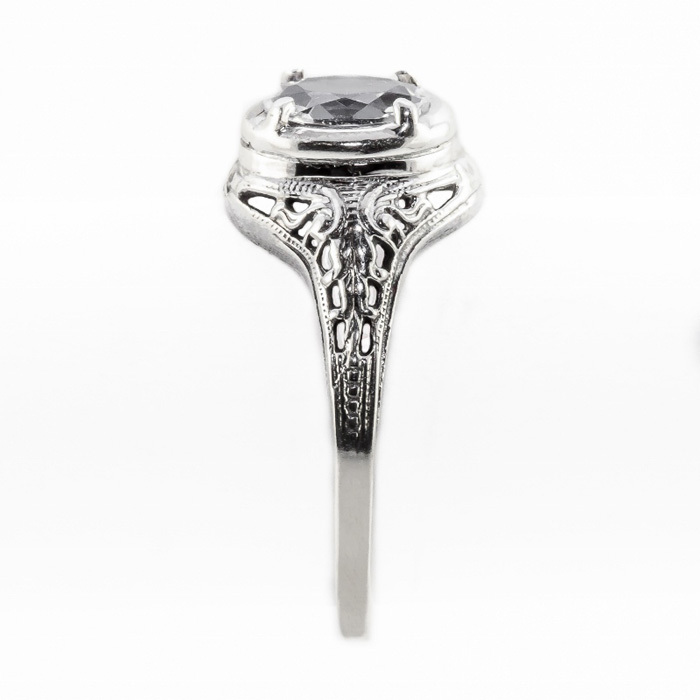 The art nouveau design measures 7mm x 5mm. Please reference our ring sizing chart and buy one today for a unique gift idea. 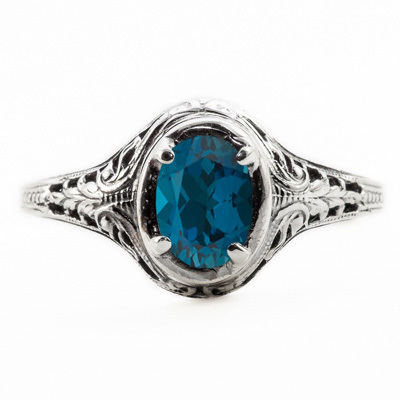 We guarantee our Oval Cut London Blue Topaz Art Nouveau Style 14K White Gold Ring to be high quality, authentic jewelry, as described above.